Nels Cline is one of the most versatile, imaginative and original guitarists active today. Combining breathtaking technique with an informed musical intelligence, the self-taught Cline displays a mastery of guitar expression that encompasses delicate lyricism, sonic abstractions, and skull-crunching ﬂights of fancy, inspiring Jazz Times to call him "The World's Most Dangerous Guitarist." Born in Los Angeles in 1956, his earliest musical inﬂuences included Roger McGuinn, Jimi Hendrix, Jeff Beck, John Fahey and Duane Allman. Cline claims his most valuable music training came from his work with bassist/multi-instrumentalist Eric von Essen, with whom he performed as a duo from 1977 until von Essen's untimely death in 1997. In the late 1970s, Cline formed the inﬂuential chamber-jazz group Quartet Music with von Essen, his brother, percussionist Alex Cline and violinist Jeff Gauthier. Cline's ﬁrst appearance on an album was on woodwindist Vinny Golia's 1978 record, Openhearted, and his ﬁrst work as a bandleader was 1988's Angelica with New York City altoist Tim Berne. Since then, Cline has performed on over 100 albums in the jazz, pop, rock, country, and experimental music genres. Some of the musicians he has performed and/or recorded with include: Ramblin' Jack Elliot, Rickie Lee Jones, Julius Hemphill, Charlie Haden, Tim Berne, Mark Dresser, Bobby Bradford, Elliott Sharp, Thurston Moore, Gregg Bendian, Mark Isham, The Geraldine Fibbers, Thurston Moore, Mike Watt, Devin Sarno, Zeena Parkins, Wadada Leo Smith, Henry Kaiser, The Scott Amendola Band, Banyan and Carla Bozulich. In addition to his latest trio The Nels Cline Singers, formed with drummer Scott Amendola and bassist Devin Hoff, Cline is also the lead guitarist for the critically acclaimed rock band Wilco, which he joined in 2004. Percussionist-composer Alex Cline has been a mainstay on the jazz and new music scenes of Los Angeles for over thirty-five years, his endeavors having established for him a career international in scope. Combining colorful and sensitive percussion sounds with a drumming foundation based in the jazz tradition, Cline is recognized for his contributions to the music of such artists as Vinny Golia, Julius Hemphill, Bobby Bradford, Tim Berne, Richard Grossman, John Carter, Don Preston, Horace Tapscott, Gregg Bendian, Joseph Jarman, Wadada Leo Smith, Charlie Haden, and countless others, having toured extensively in North America and Europe and having appeared on almost a hundred recordings. His work as a composer and bandleader has been documented on four recordings with his group, the Alex Cline Ensemble: The Lamp and The Star (ECM), Montsalvat (Nine Winds), Sparks Fly Upward, and The Constant Flame (both on Cryptogramophone), all receiving considerable critical acclaim. His newest CD, Continuation, will be released in early 2009 on Cryptogramophone. Alex has spearheaded some notable improvisational group collaborations as well, such as the trio Cline-Gauthier-Stinson and the quartet Cloud Plate (with Kaoru, Miya Masaoka, and G.E. 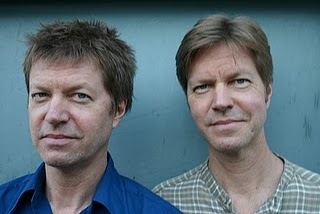 Stinson), both of which have released CDs. He has also been heard on numerous film soundtracks and in collaboration with many dancers and visual artists. Alex s current musical associations include those with the Arthur Blythe Quintet, the Jeff Gauthier Goatette, Steuart Liebig s Seconda Prattica, the Tom McNalley Trio, Philip Gelb, and Open Gate Theatre.